We stayed here for two nights at the beginning of our honeymoon. 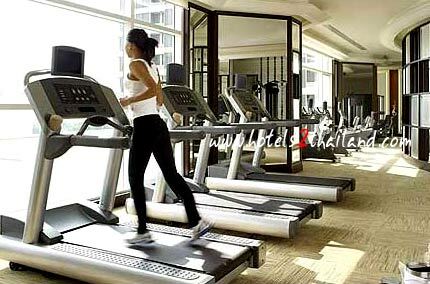 The hotel has the best healthclub I have ever seen in a hotel. The spa features were amazing. I went for a whirlpool and a steam every day. 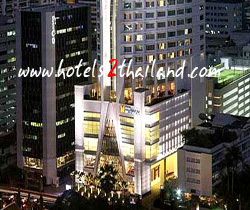 The staff there, like in the hotel, were exceptional and always remembered me. A small pool exists which was very refreshing in the late afternoon. 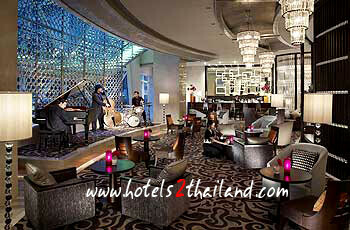 The hotel has several restaurants, as well as a lobby lounge that had some quality entertainment each night. Also a lobby venue that served breakfast and afternoon tea. My room was so peaceful, clean and comfortable. One of the most comfortable beds; a very nice decor; an amazing bathroom highlighted by a glass enclosed huge bathtub. Plenty of storage space-including a personal safe. My windows gave a great view of the city. The hotel is shaped like a sailboat and each floor has an atrium view. The club floor was brilliant and we considered it excellent value for money. Service was discreet and personal. Happy hour was a great bonus and the food choices varied everynight. We stayed in this hotel from April 28 - May 2. The Club Lounge is fantabulous. Free flowing drinks and eats - you really don't need to go out for dinner. It's the best club lounge I've come across. 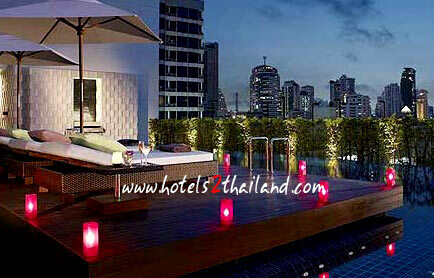 The hotel itself is well-located and the rooms are very good. Club room views are great. 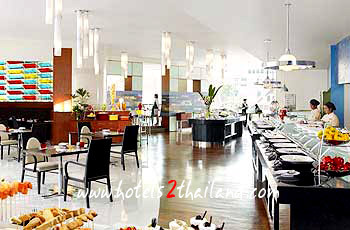 The breakfast spread is excellent with a mix of standard American, European and Asian breakfast options. One could try something different everyday. 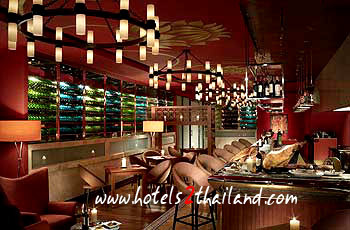 They also have a bar which is a very nice place to catch a drink or two before heading out in the evening/ at night.